Vincent is a new concept restaurant for the Canberra region, hidden amongst the Government Departments and new apartments of the beautiful leafy suburb of Barton. 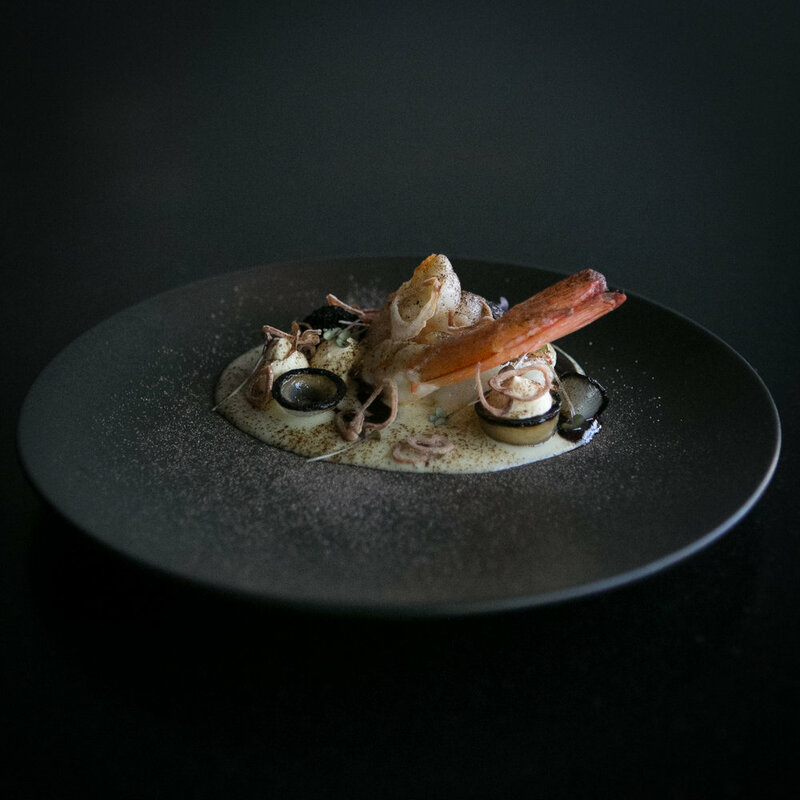 Specialising in pairing exquisite food with unconventional, specifically sourced wines from around the world, Vincent brings an exciting vibe to the Canberra dining experience. Make a selection from a variety of small plate delicacies or for something to fill the belly, choose one of our satisfying main meals. There is something to service the appetites of the after-work crowd or for those looking for an exciting dining experience. Vincent embodies a laid back atmosphere with a long communal bar to comfortably seat groups or couples looking for a place to relax over a glass of wine. Members of our staff are never far away to ensure every one of our guests receive the service and attention they deserve. A dark and moody, yet warm and ambient, interior creates a relaxed and casual atmosphere to complement the selection of food and wine, specially developed to enhance each of the flavours and deliver a completely gratifying dining experience. We look forward to welcoming you to Vincent Restaurant to eat, drink, relax and enjoy. * The above menus are seasonal and subject to change. Please use the message bellow to make a booking. Alternatively give us a call on (02) 6273 7773. Thank you for contacting Vincent, we will be in touch shortly. 1. Date and time must be confirmed and abide to. 2. All tentative dates not confirmed within 7 days will be made available for alternative bookings. 3. We require a 20% deposit your booking payable 2 weeks before. Upon payment of your deposit you are here-by agreeing to the terms and conditions listed. 4. Final numbers and menu selection must be confirmed 7 days prior to your function. This is the minimum number of guests for which you will be charged. Any additional numbers will be charged accordingly on the night. 5. Cancellations can be made 2 weeks before event, if done after this timeframe we reserve the right to hold on to the deposit paid. 6. Remaining payment for the function should be settle on the night by credit card or cash payment. 7. T & C may vary for exclusivity of the venue. The restaurant can sit a maximum of 64 guests at once, note that for exclusivity of the space you will be quoted separately depending the day and time required as extra charge may incurred. *Please note we are a fully licensed restaurant and we are not BYO. * Cake charge applies. Send us your enquiry to vincentfoodnwine@gmail.com or give us a call on 6273 7773 .